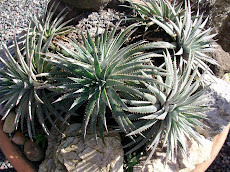 Dyckia hb Goehringii X D. pectinata, the older the better. 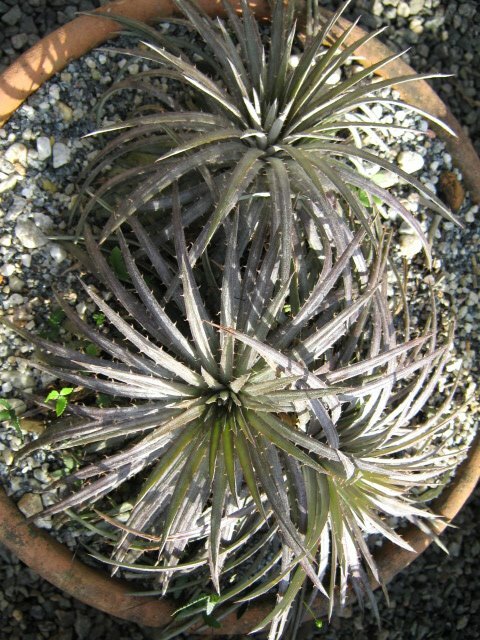 One of the best looking Dyckias. 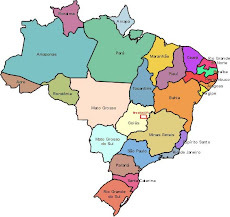 It comes from way down South in Brazil. 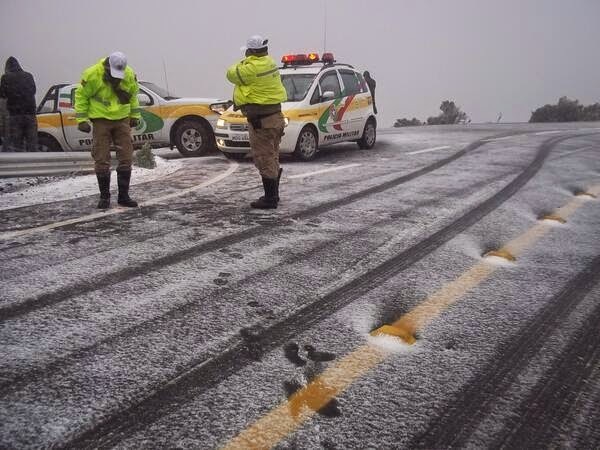 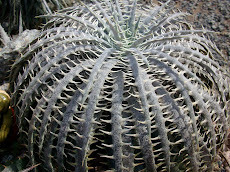 It is used to cold down to freezing. 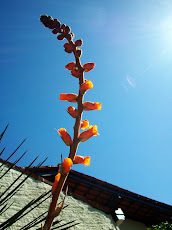 the name is not yet official but what matters...for I am fond of the beautiful. 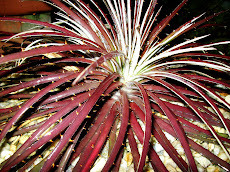 It is native to South in Brazil in Santa Catarina State. 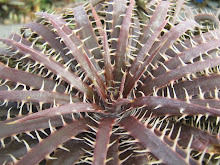 Notice some very important hints here: the size and color of the thorns and how the stay big even when close to the tip of the leaf and also the plant bears many many many leaves. 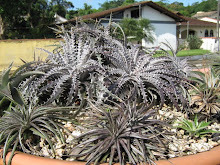 The many leafed Dyckias are typical from some Brazilian South regions. 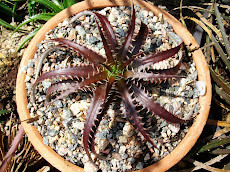 This typifies some poli-leafed Dyckias and reveals their origins. 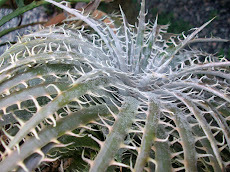 Dyckia sp subida-SC crocea aff. 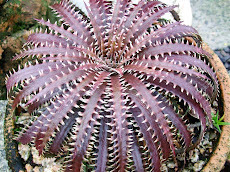 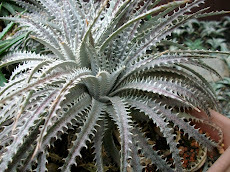 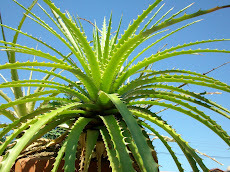 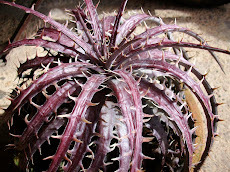 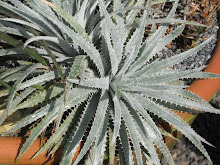 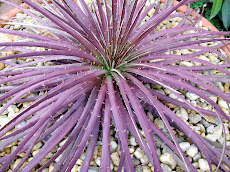 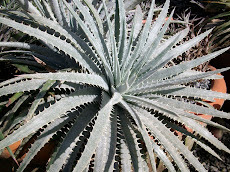 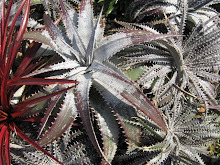 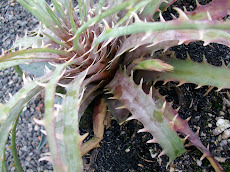 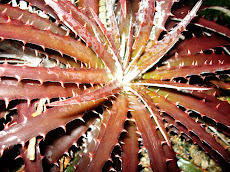 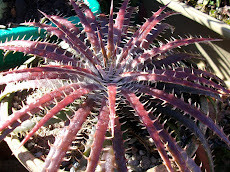 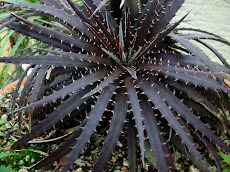 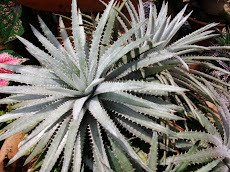 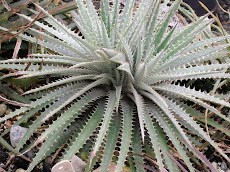 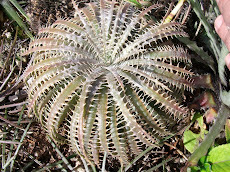 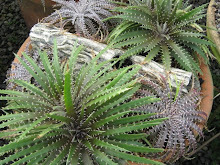 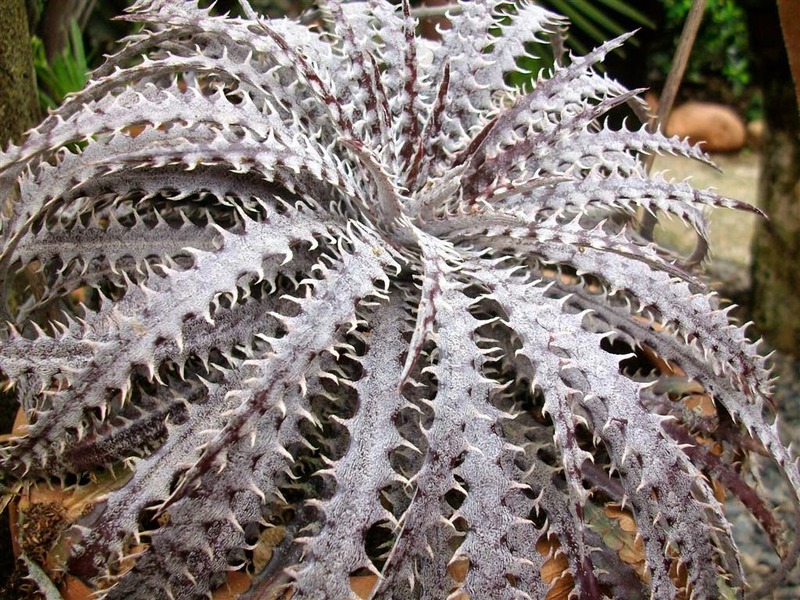 Dyckia Liz Taylor is one of the very first Dyckia delicata hybrid. 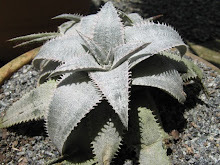 One of the most difficult to be perfectly photographed. 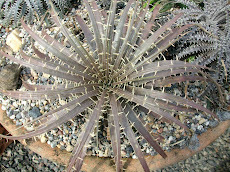 It is a many leafed plant this means native to South in Brazil. 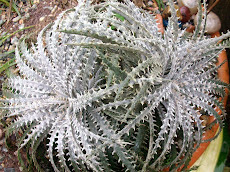 In my opinion one of the most beautiful Dyckias of all. 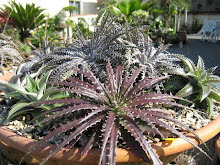 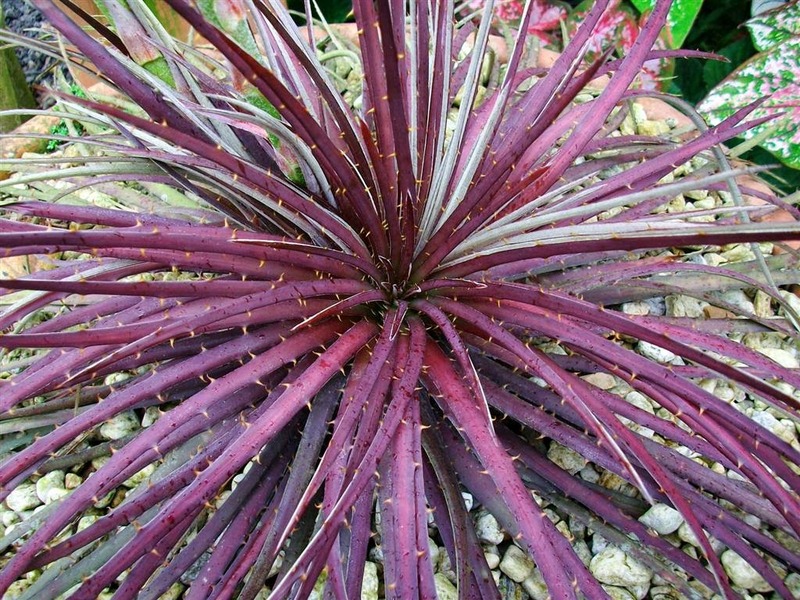 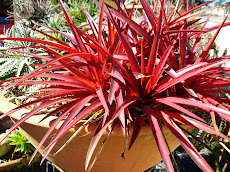 Red wine colored Dyckia flowers. 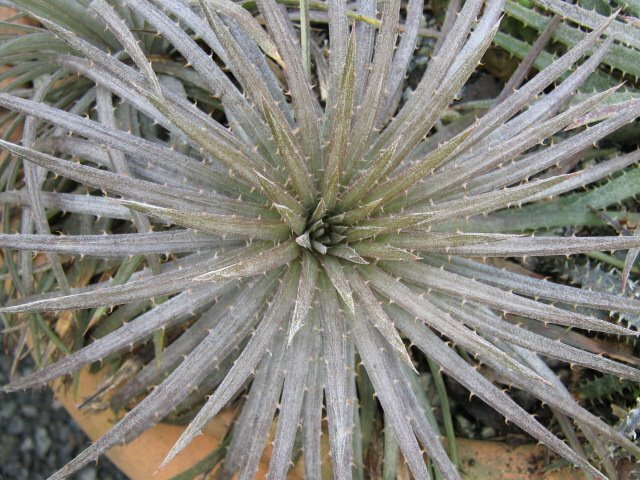 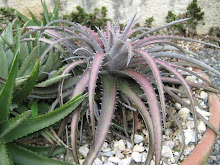 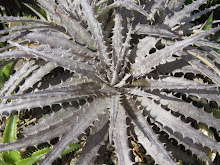 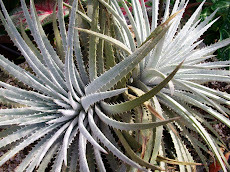 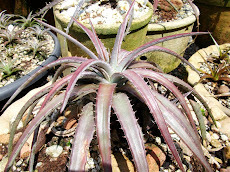 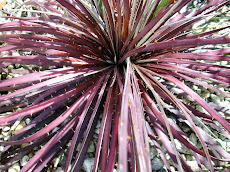 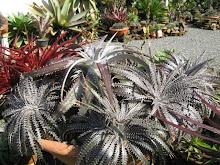 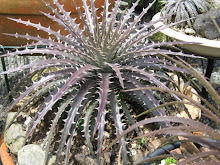 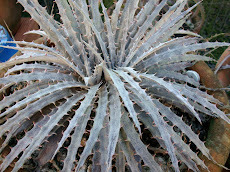 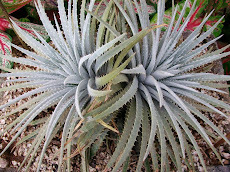 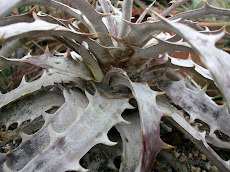 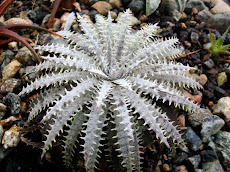 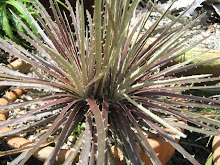 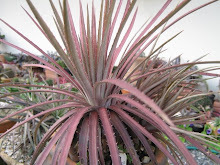 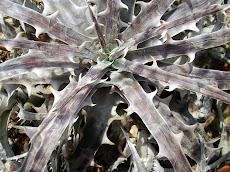 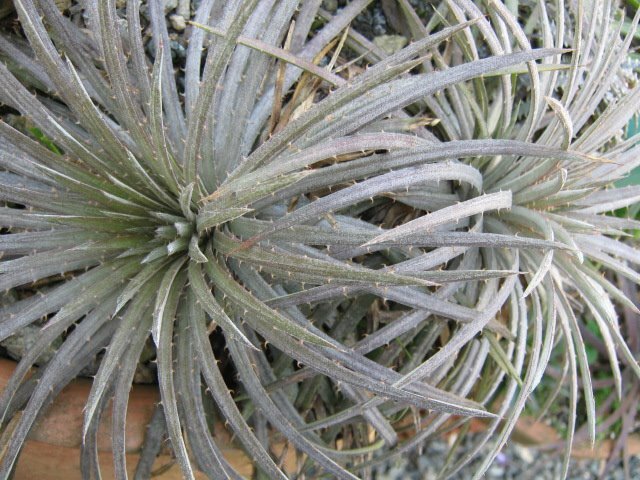 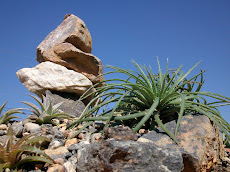 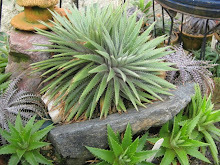 Dyckia Fantasma and the way it looks today.